Self Talk - How to Become More Competitive in Volleyball? How to use positive self talk to improve performance? Athletes who are physically more gifted than their competitors sometimes express their frustration that they are beaten by physically and athletically less gifted competition. Often in these cases an athlete's belief limits their ability to surpass the competition. "Why I am always missing the serves in the match." Instead of having negative thoughts an athlete need to use positive affirmations to improve the performance. Do you have questions about the self-talk or other sports psychology issues? Post your question in the volleyball forum section in the bottom of this page. Players, coaches and parents have opportunity to share their experiences and answer the question. All the people in the community are encouraged to add comments. Let’s make the forum Q/A valuable for the community. What is the purpose of self talk? Self affirmations help athlete to perform at the highest possible level in the competition. They can be used to help athlete to stay fully focused on the training or the specific situation in the match. They could also help athlete to close out previous mistakes or unsuccessful experiences, which may come on thoughts at times. The purpose of affirmations and self talk is to make the performance automatic, but still having feeling and thoughts in it – those feelings and thoughts just need to be positive ones. Self Affirmations – How to Build Up Your Confidence in Volleyball? “Hard work pays off”, etc. How to Practice Self Talk by Yourself? The athlete should use positive self-talk during the practices or matches. The athlete could also use positive self-talk to prepare for practices and matches. 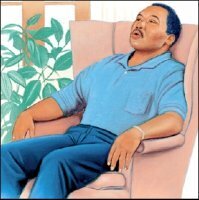 An athlete sits comfortably in the chair, focuses to close everything else out, totally relaxes for 5-20 minutes and repeats one affirmation (or more of them) after another. The athlete could make this process even more powerful by recording a specific skill, saving the skill in the video clip multiple times in a row, and watching this clip, while repeating or listening the affirmations. Follow the link below to find questions and answers about self-talk and mental training. Submit your question or add a comment. How to use self-talk and visualization to learn jump serve? 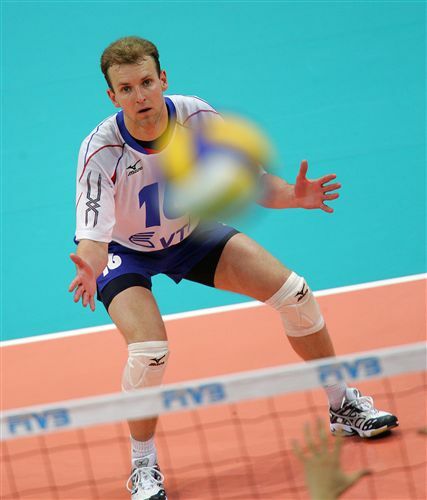 Visit Sports Psychology in Volleyball page by clicking the link below.